Recognizing ABB’s groundbreaking leadership in e-mobility, Fortune Magazine today selected ABB as #8 on its 2018 “Change the World” list, a global ranking of companies whose innovative work is making a significant, positive social impact around the world. At ABB, we believe it is possible to run the world without consuming the Earth. Today, our pioneering technology is helping to move transportation from fossil-fuel dependence – the biggest contributor to climate change – to electric cars, trains and marine vehicles that reduce greenhouse gas emissions and deliver a more sustainable energy future. Over the next year, ABB expects to help communities save an additional 15,000 tons of CO2 emissions globally. That’s the equivalent of taking nearly 6,000 passenger cars off the road. From our record-setting electric vehicle (EV) chargers and other innovative charging solutions to micro-grids, the transport and integration of solar and other renewable energies into local power grids, our sponsorship of the ABB FIA Formula E Championship series and more, ABB is proud to be making a difference. ABB has the largest number of high-speed EV chargers on the road today, with more than 7,000 fast-charging systems installed around the world. These chargers have collectively saved nearly 2 million gallons of fuel and 20,000 tons of CO2. Every time an EV driver fully charges an electric vehicle at an ABB charging station, they’ve prevented approximately 100 pounds of CO2 from impacting the environment. ABB is supplying its groundbreaking Terra HP charging stations to Electrify America as part of the biggest EV infrastructure project in United States history. ABB’s chargers will be installed in hundreds of locations in and around 17 metropolitan areas and along the nation’s highways. The Terra HP charger is a transformational leap – it can recharge an electric vehicle in eight minutes, about the same amount of time it takes to stop at a conventional filling station. 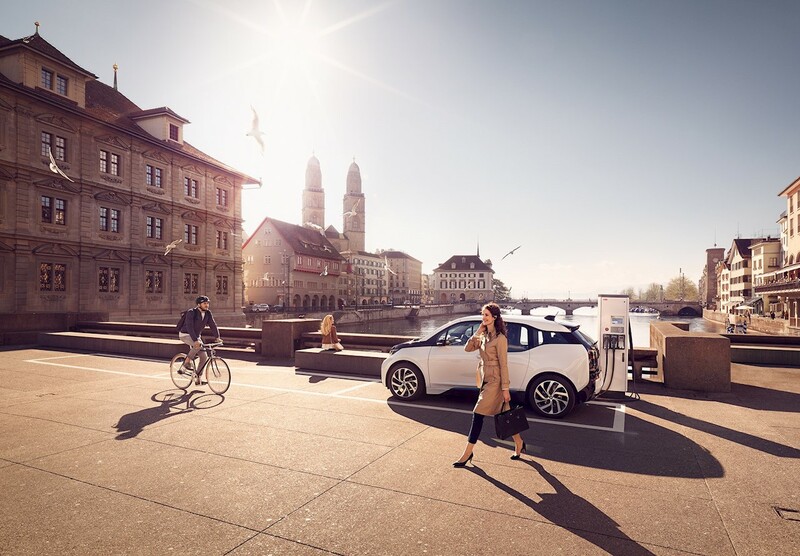 ABB recently donated 30 fast-charging stations to the city of Zurich to help support the Swiss city's journey to sustainable and eco-friendly mobility. ABB’s breakthrough TOSA bus system – already in use in Europe – can flash charge a bus in just 20 seconds while passengers board and disembark. ABB has partnered with Formula E, the international electric street racing series, to spur the future of electric vehicles. The ABB FIA Formula E Championship series, which will begin its fifth season in December, is an important driver of design and technology advances for EVs and charging infrastructure. Developments on the track today are poised to make their way rapidly into passenger vehicles. In addition to road vehicles, ABB’s marine division is making maritime transportation far more sustainable via intelligent power and propulsion systems that send ships on the most direct routes, significantly cutting fuel consumption and reducing carbon emissions. 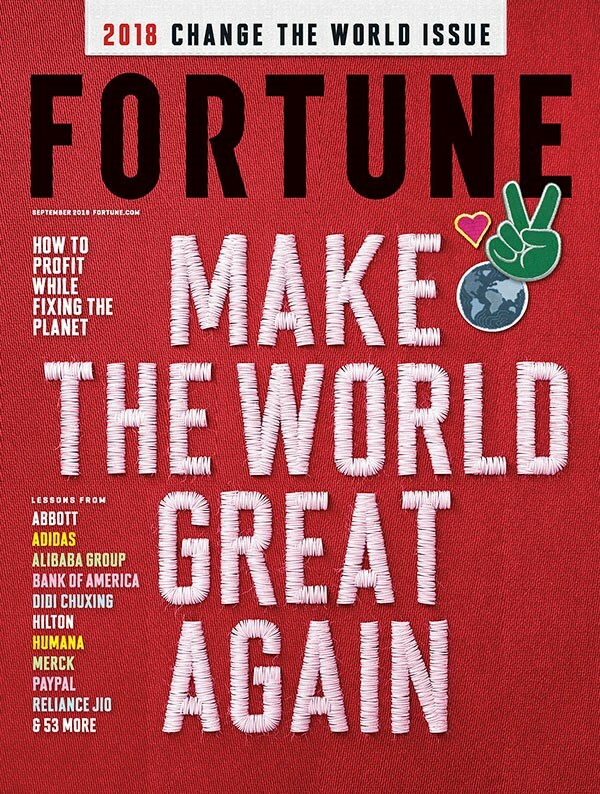 Fortune’s fourth annual “Change the World” list is developed by the magazine in partnership with: FSG, a nonprofit social-impact consulting firm; the Shared Value Initiative, a global platform for organizations seeking business solutions to social challenges; and Professor Michael E. Porter of Harvard Business School. Companies selected for the list must deliver measurable social impact, socially beneficial business results and high levels of innovation. Learn more about Fortune's "Change the World" list here.